Happy Friday!! This was our last week at home with Jeff during his paternity leave - cue the tears! I'm not sure how I'm going to make it through the next several months at home all by myself - wish me luck! 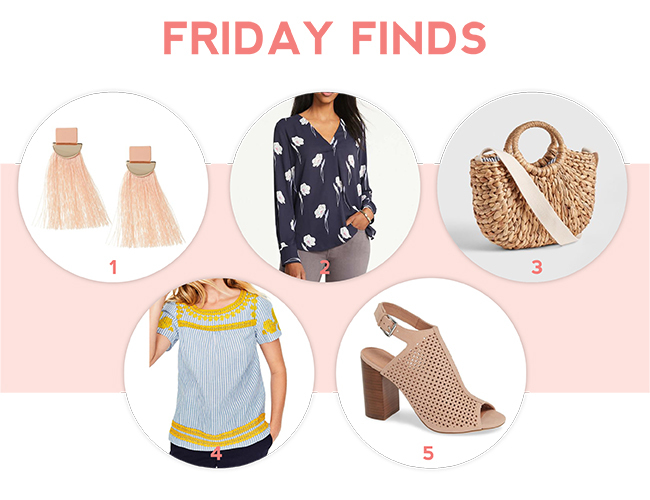 Here are my finds for the week - still super excited for spring pieces and crossing my fingers that Chicago will let us wear some of them soon! !